On a frigid winter night in Minneapolis, Kimberly Baeth, her newlywed husband, and a group of college friends braved the ice-cold weather to meet for dinner at the city’s best deep-dish pizza restaurant. Story after story from their cherished college days filled the restaurant with laughter. As the night wore on, the conversation turned to the future. As Kimberly listened to each friend’s careers plans, an idea came to her that would forever change the future. At the time, Kimberly had been working at the North Hennepin Chamber of Commerce and was getting multiple requests to host and coordinate Grand Opening events for new business openings in the community. Because the Chamber did not provide this service, the new business owners had nowhere to turn. Hence, over pizza, Kimberly pitched an idea to start her own business that provided Grand Opening and Ribbon Cutting services to new local businesses. Everyone laughed but said that if anyone could do it, Kimberly could. 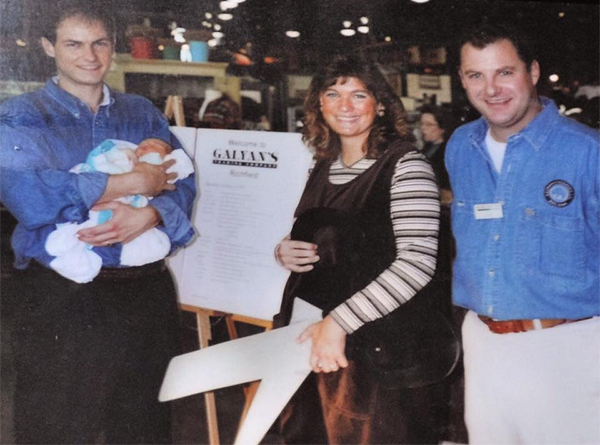 Little did she know that her simple idea would 1) bring ribbon cuttings and ceremonial events to life all around the world, and 2) result in a wildly successful business which averaged 30% annual revenue growth for the next 20 years! A month later, Kimberly gave her 2-week notice at the chamber, registered her business with the Secretary of State, and made her new business dream a reality. Golden Openings’ first Grand Opening was for a small music store in Minneapolis. The store rented her grand opening banner, her wood scissors that cut ribbon and she delivered a cake that was sponsored by a local bakery. She arranged to have the mayor and newspaper at the event as well as local dignitaries. It was a huge success for the store and a fantastic deal as they only paid $50 for the services. 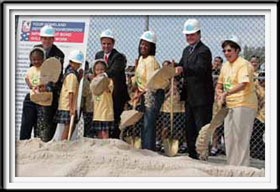 As news of the successful event spread through the community the demand for Golden Openings’ services spread quickly. Suddenly, local restaurants, hardware stores, retail shops, travel companies, and hotels were calling Golden Openings to plan their grand opening celebrations. In October, of 1997, not even the arrival of her first child could put a halt in her busy schedule. When it was time for Baeth, her husband and baby to leave the hospital, they had to stop at a grand opening with hospital bands still on their wrists, before going home. Golden Openings hosted 37 events and brought in $20,000 during the first year in business. Over the next 5 years, Golden Openings grew dramatically. Golden Openings was hosting 150-200 events per year with the largest events budgeted at $100,000 and higher. Total revenue increased over 1000% during the 5-year period. Golden Openings actively supported local non-profit organizations, municipalities, service clubs, and joined 7 chambers of commerce. 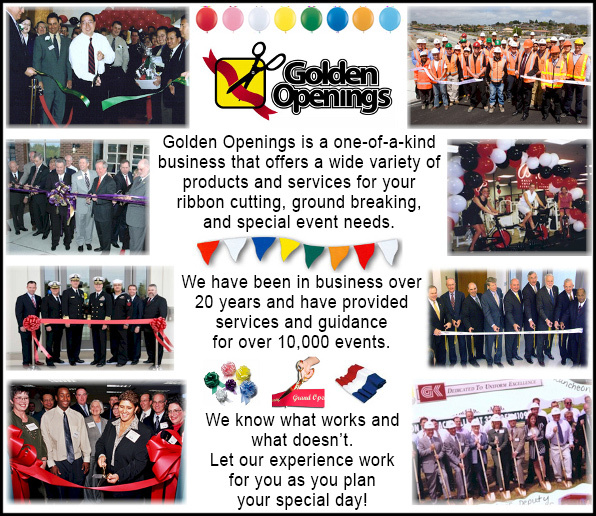 Golden Openings rapidly became a well-known and highly regarded business throughout the Minneapolis/St. Paul business community. Kimberly was widely recognized as an emerging leader in. In May 2001, she was awarded the “Emerging Entrepreneur of the Year Finalist” award. While customers liked renting the big scissors, many asked about purchasing their own pair. Seeing opportunity, Golden Openings invented the first pair of stainless steel 3-foot ceremonial scissors. These scissors could be mass produced, made in different colors, and could be customized with engraved logos. In 2003, Golden Openings launched an online store for customers across the world to purchase these scissors and related ceremonial products. Additional products included wide custom ribbon, giant bows, stanchions, ceremonial keys, ground breaking products and more. Golden Openings also published and copyrighted 3 guidebooks which take customers through a step-by-step process for hosting their own ceremonial event. 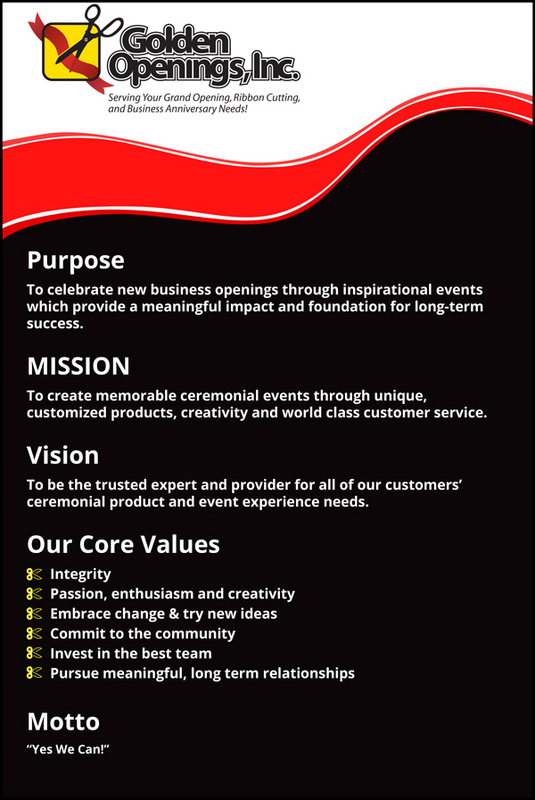 Between 2003 and 2011, Golden Openings’ strategy of combining expert event services with ceremonial products drove even more explosive growth. 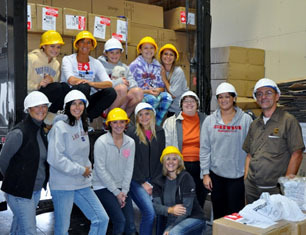 Golden Openings customer base grew from local Minnesota businesses to hundreds of large corporations across the world. Examples include Oprah, Disney, the White House, Warren Buffet, Trump, Facebook, Lady Gaga, Apple, NBA teams, NFL teams MLB teams, and 48 of the top 50 Fortune 500 companies. Over 21,000 chambers and universities use their products daily.Revenue grew from $135,000 to $925,000. Between 2011 and 2016 Golden Openings made substantial investments in infrastructure to fuel future growth. They bought a warehouse, expanded into a new location with a larger office and second warehouse, and launched a new, mobile friendly online store. The warehouse provided a 10-fold increase in square footage to store inventory, the new office allowed them to triple their team size, and the new online store provided a brand new, integrated online experience for their customers. In this time frame, revenue grew from $925,000 to $1,235,000. Golden Openings investments are proving successful as the rate of growth has accelerated in 2017. Golden Openings is currently on pace to increase revenue another 30% this year and achieve revenue over $1.6M. Looking forward, the company expects this trend to continue as new products and the customer base grows. The revenue goal for 2020 is to reach $2.0 M. By doing so, we will have built a high performing company that will provide more opportunities for all the employees who helped us get there. Golden Openings is proud to serve their community and was named the U.S. Chamber’s Community Excellence Overall Award Winner in 2017. Golden Openings received the award for its outstanding commitment to community engagement and public leadership. The Community Excellence Award honors an organization that positively impacts the quality of life in its community and serves the needs of its customers, employees, and neighbors. Hosting non-profit events and raising money for special causes like our John Stoddard "Cutting Out Cancer" Event. In 2014, the President of Quality Manufacturing (who helped design and patent their first giant stainless steel scissors) passed away after a six-month diagnoses of brain cancer. In his honor, they hosted and organized their own fundraiser “Cutting Out Cancer in our Community.” This event raised $25,000 for John Stoddard Cancer Center, included over 50 business vendors, a silent auction and was attended by hundreds of community members. In November 2016, shock and heartbreak hung over Iowa after a man gunned down and killed police officers in Des Moines and Urbandale. In response, we co-created a Central Iowa Blue Ribbon Campaign with the goals of thanking officers for keeping us safe, and covering the entire area in blue ribbon to honor them. The big box stores sold out of ribbon, so we purchased 35,000 yards and gave it away to grieving businesses and residents. Our staff hung eight foot blue bows on each police station. We coordinated pick up sites for the ribbon, and group outings to tie ribbon around trees/lampposts. Owner, Kimberly Baeth volunteers on several boards and belongs to several chambers and woman-owned business organizations. They fulfill orders for nonprofits and always offer discounts. 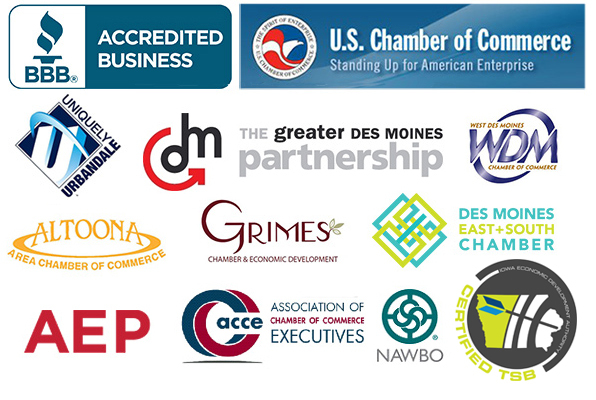 They created a program for all Chambers of Commerce to earn non-dues revenue. When they refer their members to Golden Openings, they receive 20% cash back. Baeth is speaker at seminars, graduations, universities and clubs. Golden Openings offers paid internships and school-to-work programs, mentoring young adults. Helping new businesses connect with their city leaders and establishing a lasting presence within their community is always the goal at Golden Openings!